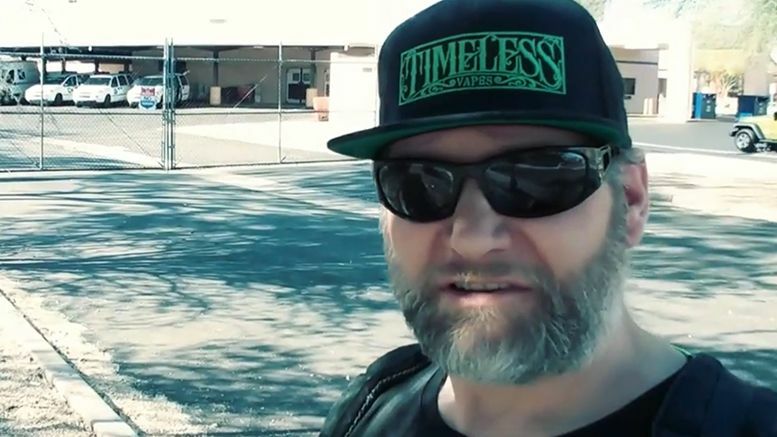 Former WWE star Val Venis had the cops called on him in Arizona this week for filming inside of a post office without permission. Val shared a video which shows him performing what people call a “First Amendment Audit” on a post office in Phoenix and the employees inside are clearly unhappy about being filmed. For those unaware, first amendment auditors typically film law enforcement or government buildings to judge the response of officers in regards to the presence of a camera. However, filming inside of a post office DOES require permission from the United States Postal Service … unless for personal use. In the video, Val is told to stop filming by two employees and the second attempts to push the camera out of her face while saying she’s going to call 911. The former wrestler, who refers to himself as a journalist collecting content for a story, is then approached by another man and a less-than-pleasant interaction occurs. Employees eventually lock up the business and close the doors on Venis, so he waits for officers outside. When they arrive though, the police have zero interaction with Val and eventually leave. A rep for the Phoenix PD tells Pro Wrestling Sheet they received calls, two on Monday and five on Tuesday, related to Val Venis exhibiting the same behavior; video taping and “harassing” customers/refusing to leave. On both days, however, “the subject” was neither identified nor contacted by police as he was no longer on the property. Watch the strange video below.